Printing quality you can measure! PSO is the single most important standard of the printing industry. PSO assures print production quality: From data acquisition to the finished printed product. 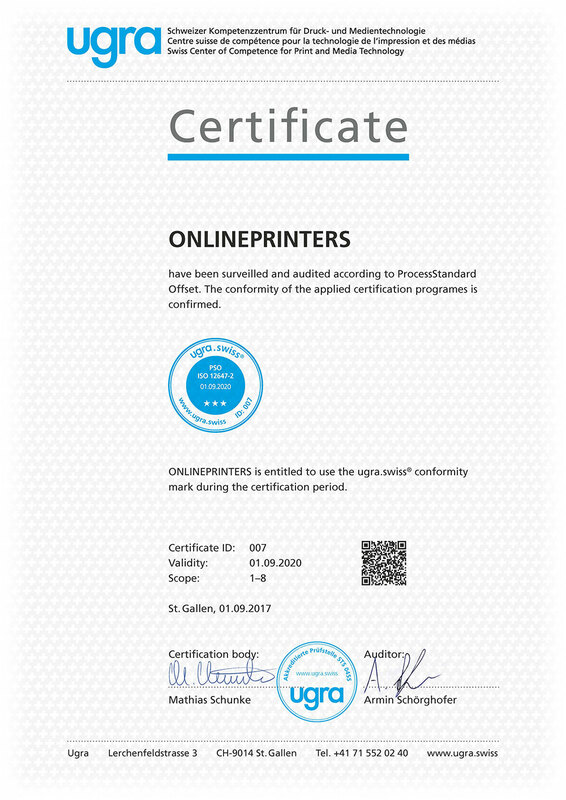 Ugra, the Swiss Center of Competence for Print and Media Technology, performs the certification using suitable test equipment and audit methods. As one of the first print shops in Europe, we also had our post-press operations certified in 2017 so that the quality control concept also encompasses the production steps after printing such as cutting, folding, stitching, etc. fast delivery thanks to standardised print and post-press operations.